Comments: Adelbert Eaton (Nee: ) | Mt. 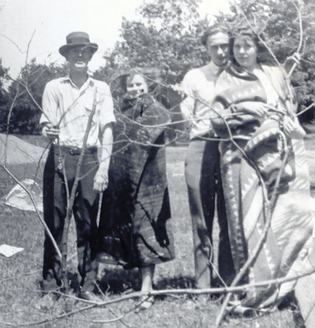 Pleasant MI USA | 1921-1940 | Comments: L to R: Adelbert Eaton, Frances Torpey, Charley Thayer, Macy Wilcox (my grandma). Appears Adelbert Eaton and Delbert Eaton is the same person.